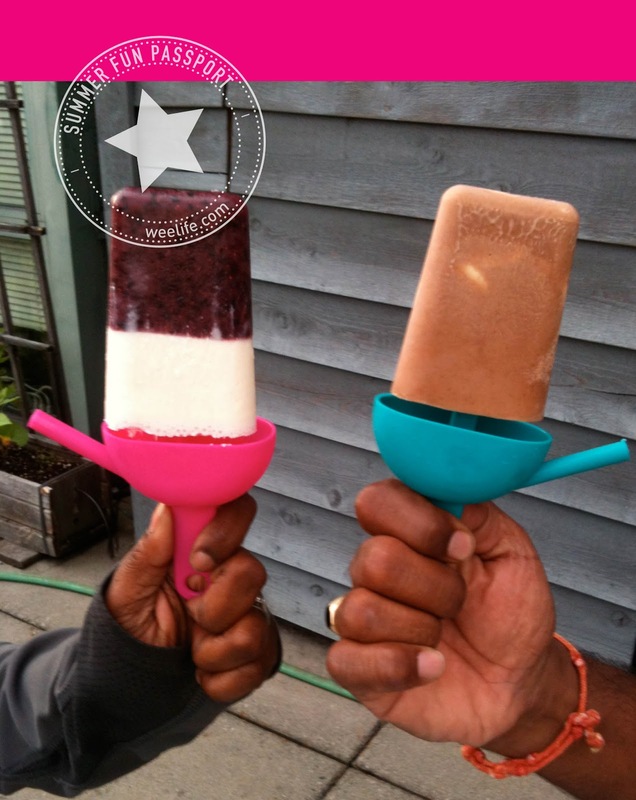 Add banana slices to the popsicle forms. Blend a 3:1 ratio of chocolate milk to nut butter and pour over banana slices. 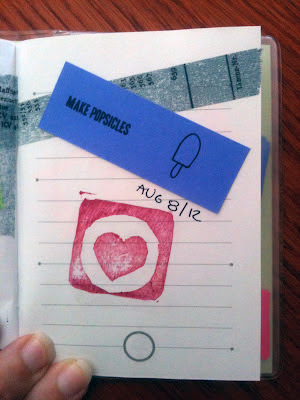 Add strawberry slices to the popsicle forms. Blend lemonade and fresh mint together and pour through a strainer over strawberry slices. 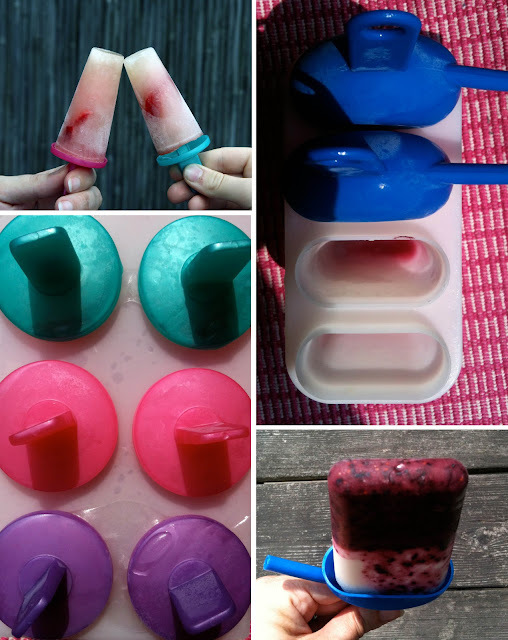 Blend the blueberry and cheesecake parts of the popsicle separately and layer in popsicle forms.